Cass County Dental Clinic practice manager Amy Castle takes a quick walk-through of the children’s dental clinic in Harrisonville, Mo. As the first patients arrive, the dental hygienist and dental assistants move them into chairs, take X-rays and talk with the patients and their parents about brushing habits, sugary drinks and how to keep their teeth and mouths safe while playing sports. One elementary age patient admits that he doesn’t brush twice a day – or even every day. The dental hygienist holds up a plaster set of teeth and explains how brushing will not only give him a brighter smile but also keep him in good health. 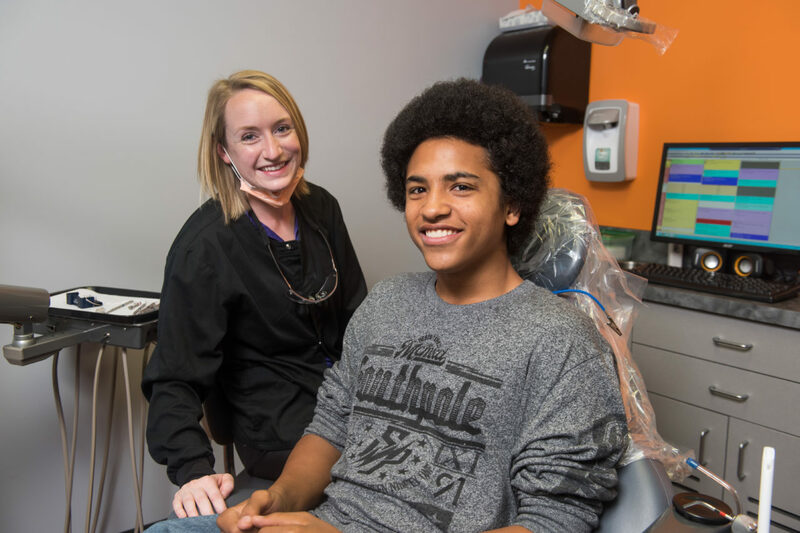 The dentist, Madeline Sloan, DDS, examines the young man’s mouth and visits with his mother about daily brushing and flossing. At the end of the appointment, the smiling patient takes the new toothbrush and floss and promises to do better. Castle says oral health education is one of the biggest challenges they face and requires continuous reinforcement with families to emphasize the importance of preventive care. According to clinic reports, only 32 percent of new patients had no decay at their first visit in 2016. To address the education issue, clinic staff coach new and expecting parents on oral health topics. Other priorities are developing relationships with specialists and strengthening care coordination so that treatment plans stay on track. The Harrisonville clinic opened in July 2015 following the opening of the first clinic in Belton in 2011. Operated as a program of the Cass Community Health Foundation, the clinics are the only full-time safety net dental clinics in the county for children up to age 21. 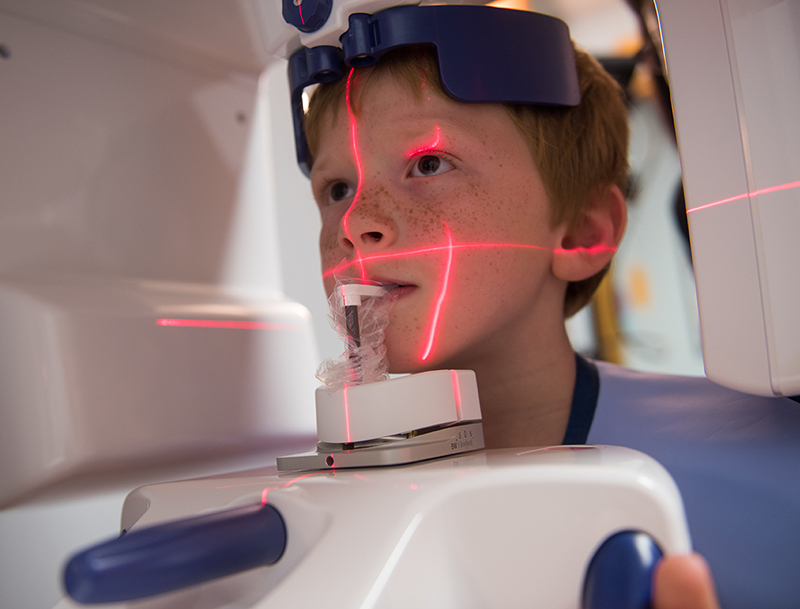 Together, they draw the majority of their patients from an array of small communities, including Adrian, Archie, Butler, Drexel, East Lynne, Holden, Midway, Nevada, Pleasant Hill, Raymore-Peculiar and Strasburg in Cass County and Grandview in Jackson County. The majority of appointment referrals come through the state Medicaid carriers and dental screenings conducted at area schools, as well as from school nurses, pediatricians, private dental offices, Head Start programs, the West Central Community Action Agency and other groups. In 2016, the two clinics served 3,150 patients for a total of 6,817 dental visits. The Belton site maintains a full-time dentist; Harrisonville has a dentist on site two days a week. Both clinics extend their outreach by sending volunteer dental professionals to every school district in their region to complete oral examinations on students. 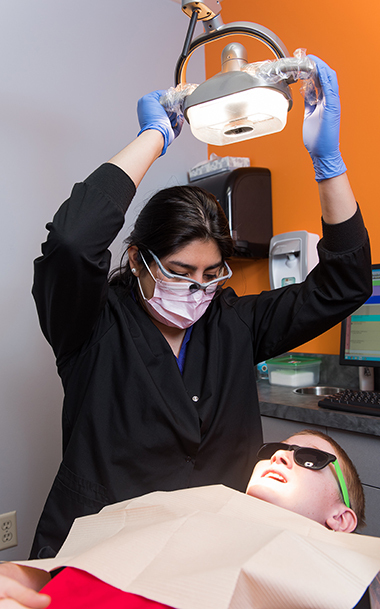 The clinic’s outreach coordinator has compiled a contact list of nearly 300 community groups, including libraries, preschools and child care providers, banks and credit unions, social service agencies and food pantries to get the word out about the dental clinics. An oral health newsletter is sent to school nurses in the multiple districts with a request to share the information with students and families. Other outreach focuses on service and civic groups to serve as community champions for oral health. The REACH Foundation awarded an initial $21,000 capacity grant in support of this project in 2010. Since then, the foundation has invested more than $790,000 to support operations, staffing, quality improvements and planning. In 2016, REACH awarded a $50,000 core operating grant, which allows the organization to use the resources where needed. Clinic staff emphasizes the importance of building relationships and enlisting oral health champions to their priority of improving children’s oral health. Castle says their team has achieved success in forging relationships with every school district in the county; working toward timely completion of treatment plans; patient/family satisfaction of services; and achieving high rates of completion on evidence-based practices, such as sealants on molar teeth.